unconsumption finds the neatest stuff. Anyone who follows this blog should also follow that one. 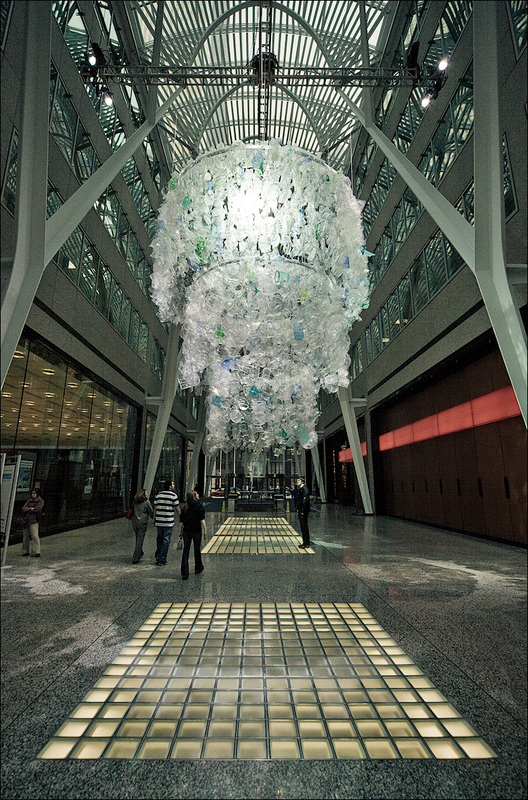 Case in point, this recycled plastic chandelier by artist Katharine Harvey. Reminds me of this chandelier, also brought to our attention by unconsumption. This entry was posted on Wednesday, February 3, 2010 at 11:44 am and is filed under Artistic Trash. You can follow any responses to this entry through the RSS 2.0 feed. You can leave a response, or trackback from your own site.